This article was written by Georgina Lucas, published on 26th June 2015 and has been read 2919 times. Georgina studies at Bath University and has just returned from a semester in Trento, Italy. This is her insider guide to the city! 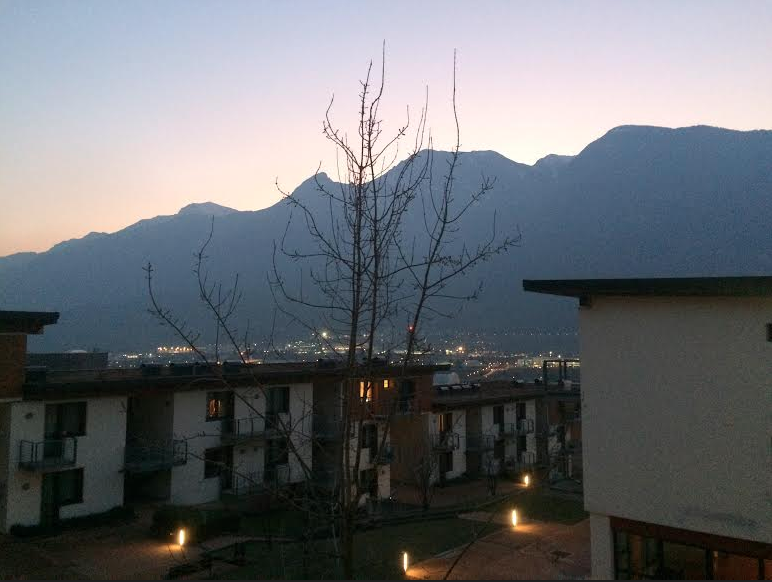 I’ve just returned from a truly fantastic semester in Trento, Italy. Before I left to start my Erasmus+ study there, there was seemingly no information available online whatsoever, which made leaving the safety of my own home and travelling into the complete unknown extremely daunting. For this reason I’ve tried to put together a comprehensive guide of everything I wish I had known before I went, and my top tips for surviving life in Trento. There are two main options when you move to Trento as an Erasmus student. The first option is to find a room through the website Easy Stanza, which was a very popular option for many of my friends. Now for the second option; the university of Trento offers, unlike many other Italian universities, the possibility of living in a student residence. There are two student residences; one in Trento, called San Bartolameo, and one in Rovereto, which is a town ten minutes away on the train. When you apply for accommodation with Opera Universitaria you have to put down which place you would prefer to live in, and you find out on your arrival date where you have been placed. Everyone that I met got their first choice though; that was a major preoccupation for me before I arrived, but both sets of halls are extremely accessible and very convenient for getting into university. In fact, lots of departments are located in Rovereto, so for some people, that may be the most convenient option.I ended up with a lovely room in the San Bartolameo residence in the Villazzano area of Trento, around 10 minutes on the bus from the centre of town. With over 800 students staying in the complex, it cost €290 a month, which included utilities and linen (which could be exchanged regularly for clean replacements at no extra charge). In the rooms in SanBa there is a bed, a huge desk, lots of storage space, a generously-sized wardrobe, and an ensuite bathroom, comprised of a shower, toilet, bidet, sink, and more storage space. You also get a balcony, and have access to study rooms, which are a great place to either socialise or chill out. The number of people you share a kitchen with depends entirely on which block you end up in, but I shared with around 20 people. This was a mix of Italian students and exchange students from all over the world, which made for a very enjoyable living experience! A decent winter coat. Trento gets extremely cold! Walking boots or some other form of decent footwear Layers - the weather in Trento can be very unpredictable. In the spring, when it looks sunny outside and is hot during the day, don’t be fooled! As soon as the sun dips behind the mountain, the temperature suddenly drops. Depending on whether you opt for university halls or not, you will need an Ethernet cable and if you have a Mac a Thunderbolt connection port. Wi-fi is not provided in university accommodation. The most rustic pizzeria I have ever been to. It’s family run and tucked away in the vaults of the old town, but it’s definitely worth seeking it out! You can get a very generously sized pizza for only €7. Any student staying in Trento should make a point of going there as soon as possible. My favourite two are Grom (easily spotted in the main square) which creates new flavours on a monthly basis, and Gelateria La Delizia. My advice- try the After Eight ice cream in that one! Very conveniently located opposite the Facoltà di Sociologia right in the heart of Trento. Again, not too expensive, with a huge menu. I’ve not had a bad meal from there. ... or any pasticceria you happen to stumble across. This one in particular has a great atmosphere, and the staff are extremely welcoming. It is easily spotted due to the impressive window display case, which contains every type of cake you could possibly imagine. I had many a tandem meeting in there, and I would argue that they serve the best latte macchiato in Trento. Situated in the main square, this bar offers the perfect opportunity to sit and watch the world go by over a hugo or an Aperol Spritz. They also serve Pimm&apos;s in there, a rarity in Italy. It’s only an hour away from Trento on the train, and the journey is absolutely breathtaking thanks to the very dramatic views of the mountains. 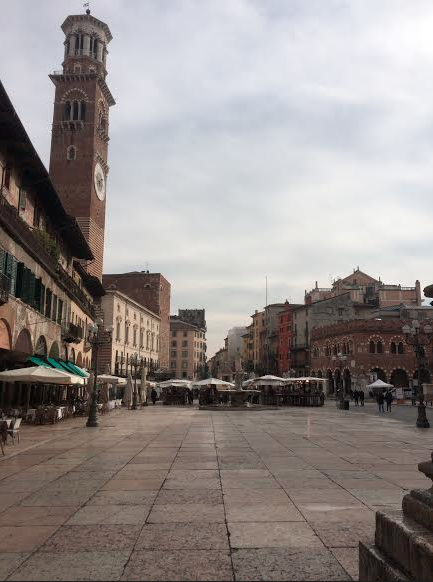 Things to see in Verona include Juliet’s Balcony, the Arena di Verona, and the main Piazza. It’s a lovely place to go if you fancy a day of shopping away from Trento. Stay on the train for another hour after Verona and you’ll arrive at the main station in Venice. 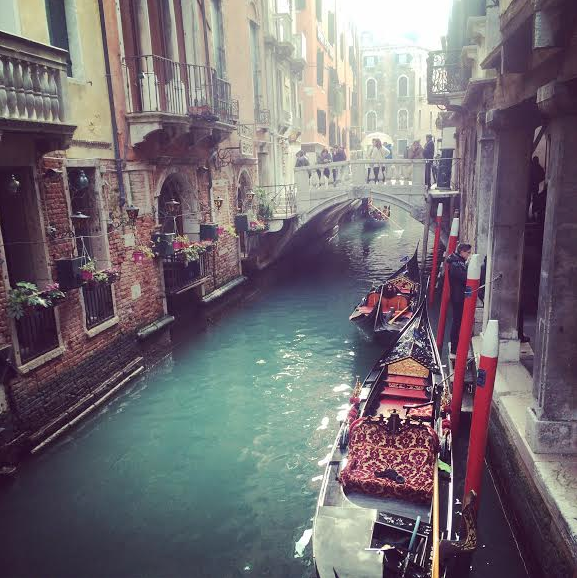 There is very little that I can say about Venice - you just have to experience it yourself. Make sure you visit Harry’s Bar for a famous Bellini, climb the campanile in the main square for some truly spectacular views, and use the vaporetti to get around; it’s much faster than walking. I would suggest visiting in the springtime, because in the summer it begins to smell and is inundated with tourists. My favourite place to visit. 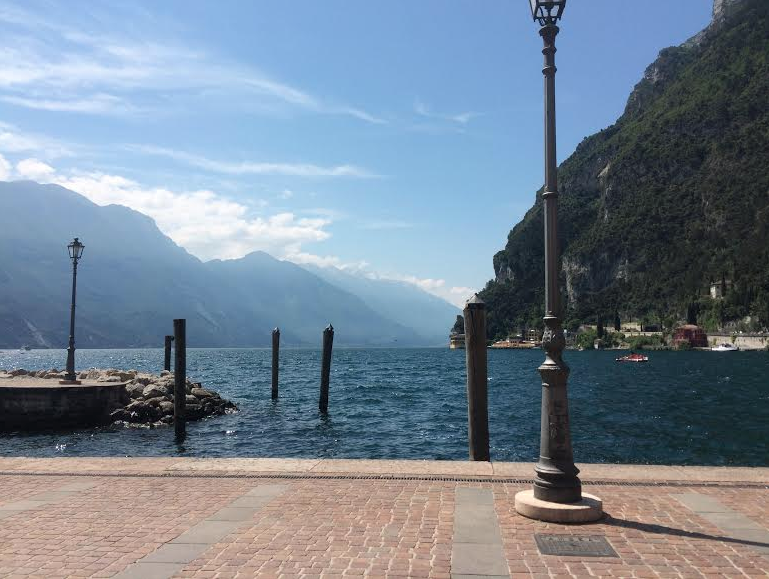 It is only a 45 minute bus ride from Trento (if you head to Riva del Garda) and is well worth the journey. You don’t have to worry about finding things to see because you could gaze at the natural scenery for hours. However, if you fancy a boat ride across the lake, I would highly suggest doing so to Malcesine, about an hour away from Riva on the ferry, where you can find a funivia (cable car of sorts) to take you all the way up Monte Baldo for yet more amazing views of the lake from above. This is a very popular option with paragliders too, if that’s what you’re in to! There is more to do in Trento than you might think. Castello del Buonconsiglio is worth a look, but I would suggest planning your visit on a clear day, so that you can appreciate the view. Similarly, there is another funivia in Trento, which takes you up to the small village of Sardegna, where you can appreciate Trento in all its glory. Again, pick a clear day for that one, because Sardegna is often in the clouds and depending on the weather it can be quite perilous trying to get up there. The cable car is often shut in the winter due to high winds, so maybe wait until the spring for that one as well! The most convenient airports are Verona or Bergamo. You can take minibuses direct from the autostazione in Trento to and from both of these airports. You’re likely to find cheaper flights from Bergamo, but it is further away so bear that in mind! A few important things to note about buses in Italy - you cannot buy tickets on the bus! You have to think ahead and buy them before your journey. If you don’t and a warden catches you, you could be faced with a pretty hefty fine. Any ‘Adige’ newsagent will stock bus tickets. You can also get day tickets or ones that are valid for 120 minutes at the train station. Depending on how long you’re staying, I would advise investing in a tessera, which is also known as a Smart Card. You can get the paperwork to apply for one of these at the autostazione, which is right next door to the train station. This will cost you around €20 a month, but it’s definitely worth it if you live at SanBa. A great way of getting around in Trento. The student residence has its own train station; you can get the train to the main station in town in around ten minutes or so. The key word to remember in Italy is VALIDATE! You have to validate your ticket every time you get on a bus, be it your smart card or a paper ticket. Tickets are not dated as you buy them; you have to do it yourself. The same goes for train tickets. I have found that regional trains in Tuscany and other regions further south all require strict validation, but depending on which train you get from Trento you may not have to validate. It’s always worth checking though, unless you want to pay! Trento is very good to cyclists; the many pedestrianised areas and special cycle lanes make life very easy. Most people choose to get around in this way in the summer, and it’s possible to hire bikes from the porter’s office at SanBa. Make sure you get in there early though, it’s very popular and there is limited availability. Throughout my year abroad, my tandem exchanges with local students have been fundamental to both my language learning and my overall Erasmus experience. I can’t express enough how much I have enjoyed weekly tandem meetings, and how much I would encourage anyone out there to just dive in and pair up with a language partner. As far as Trento is concerned, there are two ways to find a partner. You can do what I did and join the Erasmus group, where both foreign and Italian students post looking for partners. In this case, you’ll have no problem finding a partner if you speak fluent English; native English speakers are few and far between in Trento! Alternatively, you can go to a fortnightly tandem café event, which takes place at a local bar. This is a great way to meet more people, of all different cultures. The way it tends to be organised is that tables are arranged according to language and you can pick and choose which tables you want to go to. The organisers are always looking for native speakers to help keep the conversation flowing; if you volunteer to run a table, you get a free drink, which is always a bonus! It doesn’t matter if you’re studying or working, anyone is welcome at Erasmus events! Trento in particular has a fantastic ESN office. The staff in there are all Italian students and do their utmost to organise fantastic events to help you settle in, and help you to integrate into the local community. Wake Up Trento - an initiative to help make the city a bit more aesthetically pleasing while speaking to local schoolchildren. The idea was to design wall stencils and street art and help local schools to realise the artwork in designated areas of the city. In short, waste no time in signing up to this group; there’s something for everyone. And like I said, don’t be shy if you’re on a placement either, lots of people working in Trento took part in the Erasmus events. The more the merrier! So there you have it! I hope that this will help anyone travelling Trento who found the lack of information a bit daunting. I hope you enjoy your time in Trento as much as I enjoyed mine.